Have you noticed? Products and services are dropping from existence regularly. Toys”R”Us have closed their doors entirely and more than 5000 individual stores closed across the country as major retailers decide it’s best for their bottom line. What’s happening?!? Even worse, 4000 evangelical churches disappeared from the United States. I wonder if many even notice? Why all the closings? Because another organization started to supply the community’s needs in a similar or better way. Toys”R”Us used to be “the” place to go for toys. Kids would see it as a fun destination where they could dream and wish. Parents knew if they wanted something entertaining for their kids you could find it in one of the aisles. Plus they were local and easy to get to. Then competition arrived and offered similar benefits. Followed by the internet allowing you to search for toys in the comfort of your home. Then Amazon promised quick shipping. Then people stopped going to the physical stores that were riddled with personnel and inventory issues. Oh, and we won’t even talk about pricing. Toy”R”Us was simply an option that didn’t stand out anymore. They weren’t different. 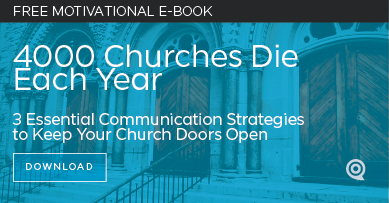 If you have a local church that are like all the other community’s churches, offering similar ministries, then you’re setting yourself up for comparison and eventually closing. Your community will simply decide where to go based on proximity, denomination, leadership personality, and maybe how your buildings look. It may even be your landscaping that becomes the issue. You can create a different kind of church and become known for something very different and bold apart from the others in town. People will overlook most other things and drive great distances for something that’s different. But for the church; be sure that your difference is biblically sound, and most importantly, needed by enough people. Be known for being relevant and an essential benefit to your community. Then your church will be around for a long time. You just have to effectively communicate your unique thread. Be different. Be needed. Be relevant.